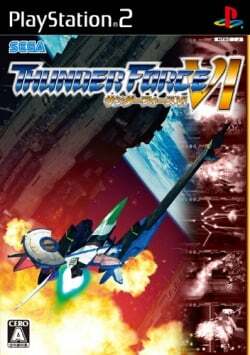 Game description: Thunder Force is one of the long living classic series that pushes the limits of the consoles which the games are published on. The first game was released in 1983 as a horizontal scrolling shooter. As the games developed, new elements are added to the series, like enabling a 360 degrees scroll function and introducing more planes and weapons for every new installment.It inherits the adrenaline pumping gameplay and the voluminous amount of weapons and stages. If you are sick of the gimmick filled games and is dying to have some traditional shooting fun, Thunder force IV is the game for you. A star studded cast of sound producers are working together to hit you with full thundery force. The list of composers are: Tamayo (Rayforce) Sato Tsuyoshi (Raiden Series) Furukawa Motoaki (Gradius II) and Kaneko Tsuyoshi (Sega Gaga)The war between the Ohn Empire and the Federation are still in full swing. Participate in the war effort in this famous title via your PlayStation2. Description: The extreme fps slowdown occurs at the ocean stage boss whenever it attacks with 3d balls that explodes. Workaround: This is an emulation issue and currently has not been resolved otherwise the rest of the game runs flawlessly. This page was last edited on 25 April 2016, at 18:18.